Do not forget these things to give a touch of royalty to your wedding. Give ann astonishing look to your grand wedding and stun everyone with the royalness of rajasthan! Are you planning on having a grand and royal wedding but haven’t quite figured out how? Here we present some of the best ways to make your wedding a grand wedding. These tips will make your dream day just as you have imagined. The perfect way to do this is the Rajasthani way – Which state has an inbuilt royalness other than Rajasthan. Culture reflects everything and Rajasthan has a lively culture which is perfectly adaptable to you. Do not miss these useful tips to make a Rajasthani celebration full of royalness. Attire plays a major role during ceremonies and when it comes to the groom, for his dream day, then it should reflect a royal look. Clothing of Rajasthan is really outstanding and lively. Rajasthani dresses have a taste of Indian tradition that is irreplaceable. 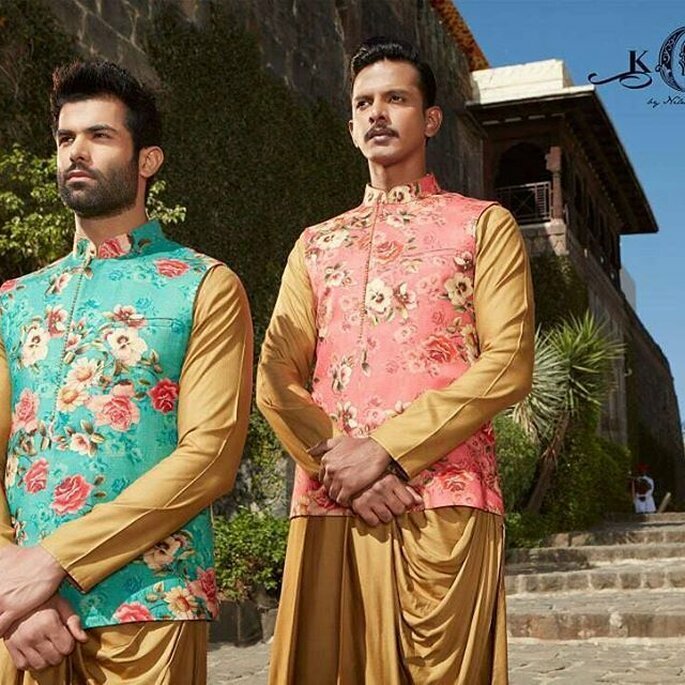 The groom can wear a Sherwani either with Dhoti or Pyjama, as it shows the regional style as well as royalness of Rajasthan. Rajasthan has different colours in itself so, do not be afraid to mix and match colours and wear either; a waistband (patka) or kamarbandh. The turban(pagri) is an important part of groom’s attire and for other men too. The pagri shows the unique significance and when it comes to your dream day it should reflect uniqueness. Turbans can be found in different colours and styles. The groom can wear a pachrangi pagri or safa for his dream day. 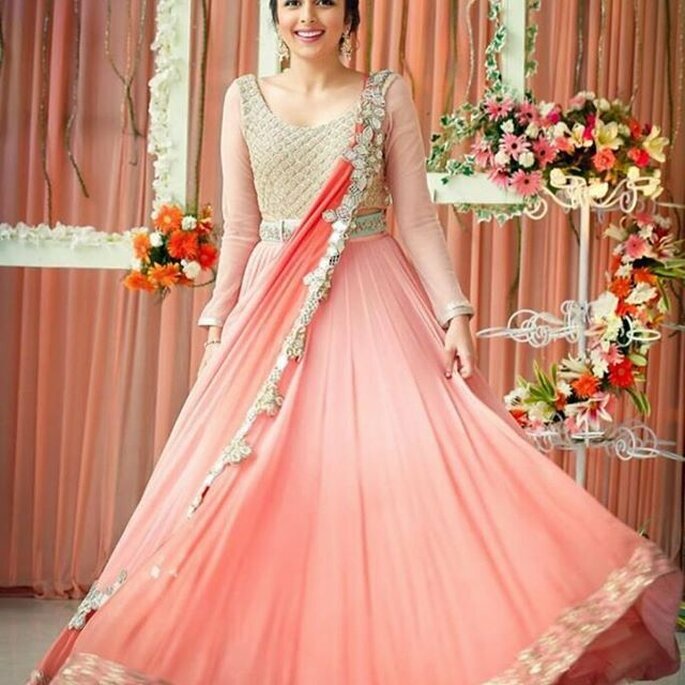 What could be more precious for the bride on her dream day, other than groom! Yes, It is her wedding dress. No bride wants to look dull on her dream day and when we talk about Rajasthan then wait…dullness does not even exist!. So here we give you the outstanding thumbs-up if you’re going to celebrate your wedding in rajasthani culture. The bride can wear a Ghaghra, Choli or Kurti with an Odhani. The ghaghra is a long skirt and it can be found in a range of styles and colours. They are mostly designed with Laharia, Chunari and Mothra prints. Brides can also wear a Lehenga with Odhani designed with Gota-Patti work. 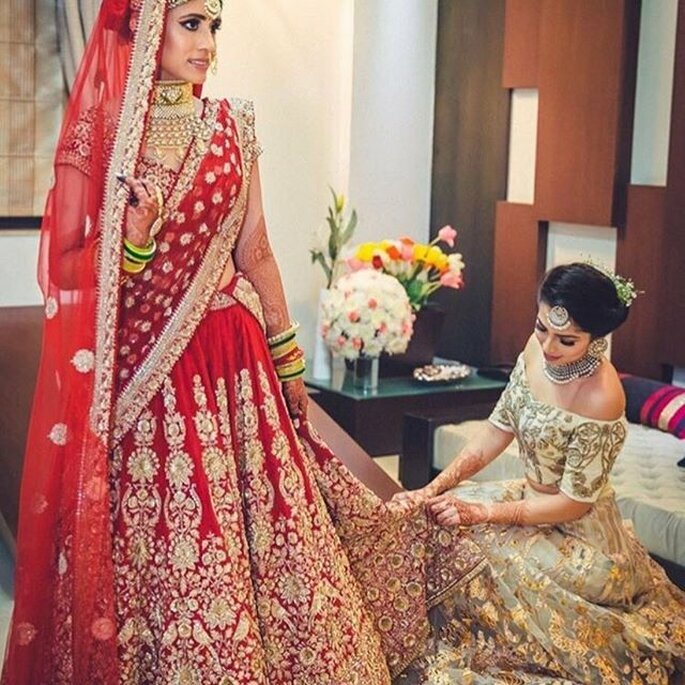 Red is a symbol of love and you brides will surely shine in red, so a Red lehenga will look pretty good on bride. Odhani is usually a long Duppatta, styled like so: the one corner of it is properly tucked inside the skirt and the other end is worn over the right shoulder or the head. It can be found in different colours and styles and is commonly selected as per the colour of the particular ghaghra that is worn with it. The bride’s guests can also wear a Ghaghra and choli with different colours. A grand and royal wedding demands a royal look which is impossible without make-up. So, check out these tips to get a perfect makeup and look on your dream day. What Every Bride Should Keep in Her Beauty Kit: The Essentials! Beautiful Rajasthani Jewelleries and accessories are designed in unique style with diamonds, emeralds, silver and expensive stones and pearls. The groom can wear with a pearl necklace or gold chain, with a big, thick bracelet. You can mix and match by wearing a classy jewellery watch and a big sword tieing with a patka. The bride can wear a beautiful Diamond set, a tredning design now, ares sets with a dash of emerald. Rajasthan’s Famous silver jewellery would also go well with the different designs. 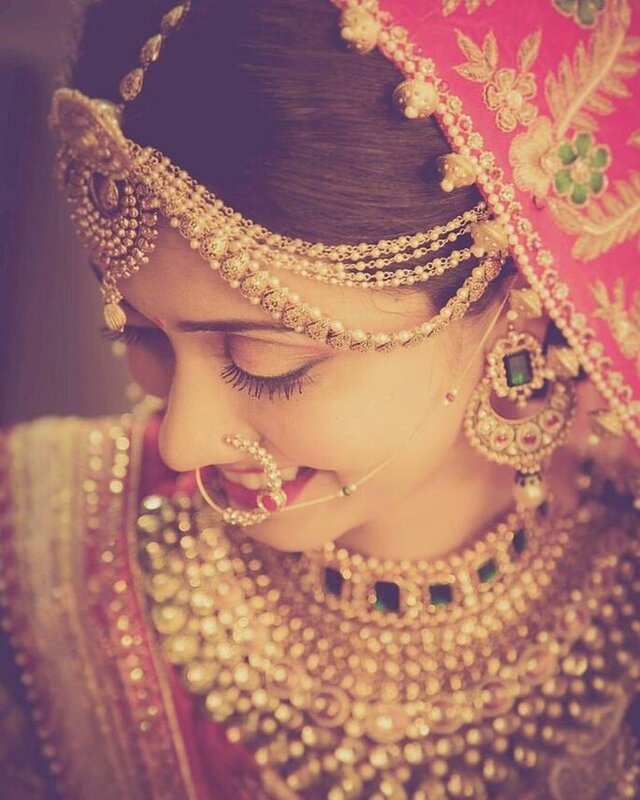 The following accessories: Lakh Chuda, Kada, Bajuband, Kamarband, Borla/Teeka, Jhumka and Hathfool along with an Aad and Ankle bracelet (Payal) with rings completes a beautiful bride’s royal look. Rajasthan’s shoes are quite famous as Mojaris or Jootis. 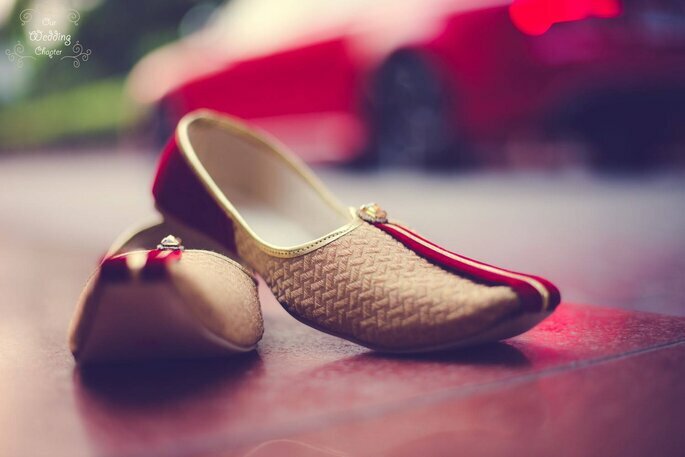 These shoes are beautifully crafted with stunning embroidery and stones over velvet or brocade. It will complete and justify a Royal wedding look. A Royal Rajasthani Wedding is incomplete without ‘Ghoomar’. All the women will make a circle at the entry of bride and groom. It’ll give a perfect picture to your Wedding Album. 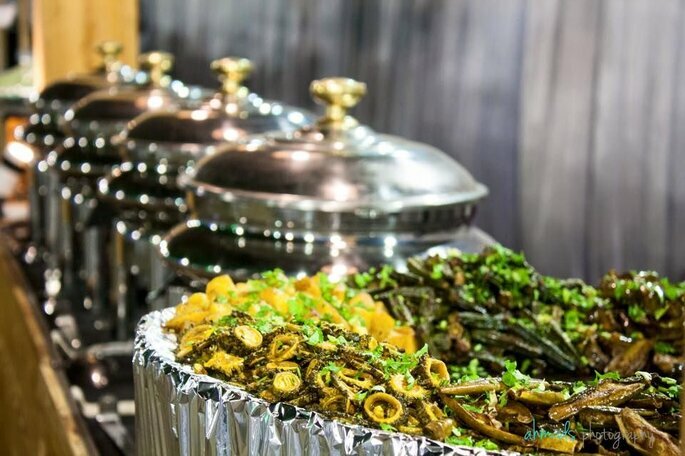 What could be as good as the food you get at a wedding. On your dream day you can give the surprise to your guests with royal Rajasthani Food. 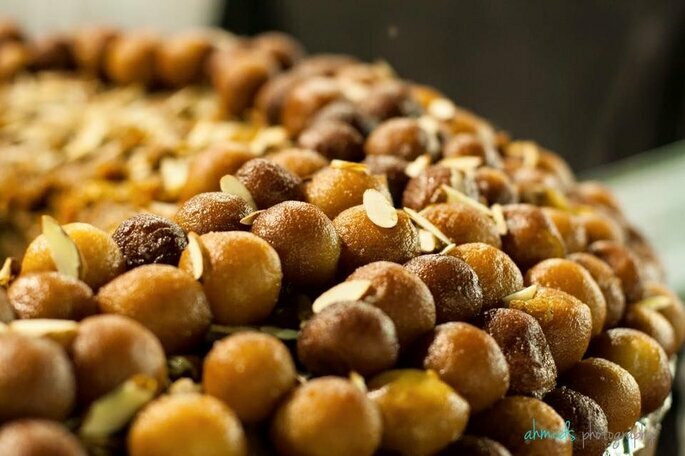 Choose from a selctions of smacks and starters such as Bikaneri Bhujia, Mirchi Bada, Pyaaj and Daal Kachori, from Jodhpur, Alwar ka mawa, Malpuas from Pushkar, Rasgollas from Bikaner, Ghewar from Jaipur, Paniya and Gheriya from Mewar. For the main course choose from the Daal, Baati, Churma, Kadi, Gatte ki Sabzi, Rice, and Sangari Curry. For those who prefer meaty delights Laal Maas, Safed Maas, Banjari Gosht are a must try. Chaach, Rabdi, Thandai, Gulab Sharbat are the best for Beverages. Some details should not be overlooked and you have to take care of them yourself. You need to figure out these things before planing your wedding in a Rajasthani way, so you are aware of all the things required. Everything should be to your preference!